Those who are homeless are already down on their luck. Add a criminal charge such as molestation to the mix and a person is likely to be even angrier and more frustrated. A homeless man at a hurricane shelter in Florida was recently arrested for allegedly molesting a young girl. On October 10, a witness saw a live recording of the 60-year-old man touching a 6-year-old girl underneath her clothes. Many people were inside the shelter, located at Davidson Middle School, to stay safe from Hurricane Michael, which has been ravaging Florida. The man was arrested the following day and has been charged with lewd and lascivious molestation of a victim under the age of 12. Florida Statute Section 800.04 defines molestation as a lewd or lascivious offense committed on a child under the age of 16. This includes intentionally touching the victim’s breasts, genital area, buttocks or the clothing covering these body parts. Molestation would also include forcing a child to touch the perpetrator. These acts are considered felonies, with penalties depending on the victim’s and perpetrator’s ages. The charges range from third degree felony to life felony. Given that the perpetrator was over the age of 18 and the victim was under the age of 12, the man in this case would be charged with a life felony. A life felony requires a lifetime of imprisonment for the offender. Sometimes a person is eligible for a split sentence, which means the person would spend at least 25 years in prison and the rest of their natural life on probation. While a lawyer can help a client choose the right defense to reduce their penalties, some defenses are prohibited. For example, a victim’s lack of chastity is not a valid defense. Even if the victim gave consent, the charges cannot be dropped, since children cannot give consent to sexual activity. Lack of knowledge about a victim’s age also cannot be used, even if the victim lied or misrepresented their age. Those accused of lewd or lascivious molestation should not talk to police until they have contacted a lawyer. A lawyer can help a client proceed with their case in the best manner and provide a valid defense. Touching another person’s body is not a minor action. Molestation is a felony charge that can lead to many years in prison. The consequences can last many years. Those accused of such a crime need to seek legal help right away. If you are facing charges of molestation, the aggressive Dade City criminal defense attorneys at Mander Law Group can help. Don’t talk to anyone until you talk to us first. 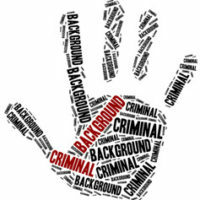 We can defend you against the criminal charges you face. Schedule a consultation today by calling (800) 557-0411.